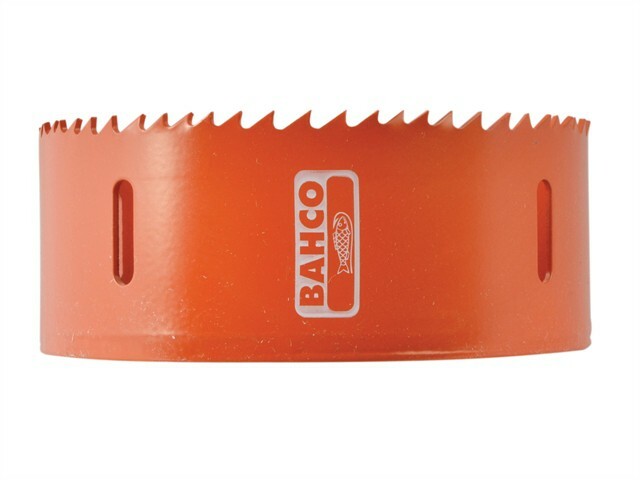 Bahco Sandflex® holesaws are made for high precision cutting of holes from 14 mm to 152 mm diameter in all sawable materials up to 38 mm thick. Suitable for use in portable electric or pneumatic tools, and in a wide variety of drilling, boring, milling and other machine tools. All saws have varipitch (4-6tpi) blades. Cutting edges are in high speed steel for extra hardness, with welded seams for accuracy of cut, and heat-treated bodies for maximum strength.